This video illuminates the work of CACITA, the bicimáquina whizz kids from the Mexico chapter of Walk Out Walk On. Drakula explains how they hope the technologies are not replicated, but rather built upon and adapted to the real contexts of communities in Southern Mexico. Participants in bicimáquina workshops also share their learnings and reflections. 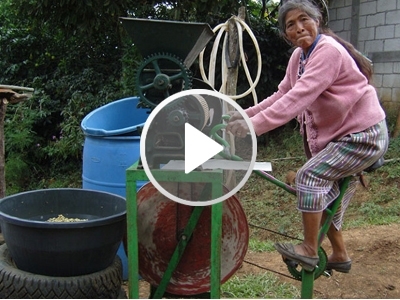 Here’s a YouTube video about Maya Pedal’s bicycle-powered machines.